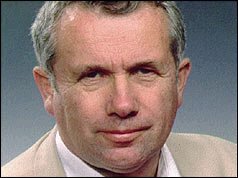 Martin Bell was a reporter with the BBC for more than 30 years. He was best known for his coverage of eleven different wars from Vietnam to Bosnia. During his last assignment, he was injured by mortar fire. He was twice chosen as BBC’s "Reporter of the Year," was honoured with General Service Medal and the Gulf War Medal, and was awarded the Order of the British Empire. He left the BBC in 1997 to run as an Independent candidate for Parliament. He won by a sizeable majority. Since leaving politics, he has served as UNICEF’s Ambassador for Humanitarian Emergencies, working in nine different countries. He is the author of three book: In Harm’s Way (1995), An Accidental MP (2000), and, most recently, Through Gates of Fire (2003). 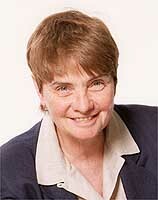 Barbara Crossette was the New York Times chief correspondent in Southeast Asia and later in South Asia. She reported on the Timorese battle for independence in the 1980s and has been has been writing about civil war in Sri Lanka since 1985, most recently for World Policy Journal, for which she has also written a current article on Southeast Asia's time of reckoning, post-Thai coup. She is the author of three books on Asia, including The Great Hill Stations of Asia and So Close to Heaven: The Vanishing Buddhist Kingdoms of the Himalayas. 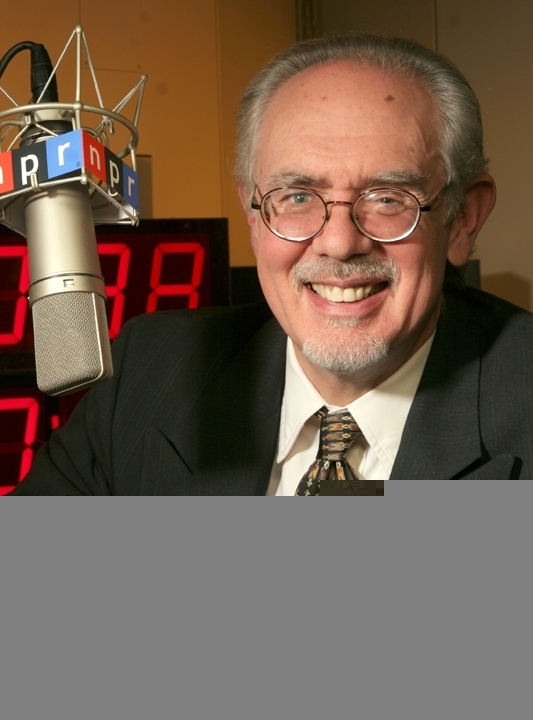 Corey Fintoff's newscasts have been part of NPR listeners' homeward commutes for nearly 15 years. He's there with the latest news at the start of each hour of "All Things Considered." Flintoff's job, something he likes to call "news haiku," is to distill the day's complex events into short, straightforward stories that will give listeners a fair grasp of what's going on in the world. Flintoff has also a reporter for NPR's newsmagazines, and performs in radio dramas and travels frequently to speak on behalf of NPR member stations. In August 2005, Flintoff began a temporary stint on NPR's Foreign Desk. This included a month's assignment as NPR's correspondant in Baghdad, an assignment to which he will return shortly after the conference. Prior to coming to NPR, he freelanced not only for NPR, but also the Canadian Broadcasting Corporation, Monitor Radio and the Associated Press. Flintoff won a 1989 Corporation for Public Broadcasting Award for his coverage of the Exxon Valdez oil spill. Judith Lichtenberg holds a joint appointment in the Department of Philosophy and the Institute for Philosophy and Public Policy, University of Maryland, where she directs the Committee on Politics, Philosophy, and Public Policy, an interdisciplinary graduate program. She writes and teaches in the areas of ethics and political philosophy, with special interests in international and domestic justice, higher education, and the mass media. She is coauthor (with Robert K. Fullinwider) of Leveling the Playing Field: Justice, Politics, and College Admissions (Rowman & Littlefield, 2004) and editor of Democracy and the Mass Media (Cambridge, 1990), and has written a number of articles about the morality of war. In 2005-06 she was a fellow at the Stanford Humanities Center, Stanford University. Albert Pierce is Professor of Ethics and National Security at the National Defense University in Washington, D.C. The decade prior to that he served as the founding director of the Center for the Study of Professional Military Ethics at the U.S. Naval Academy in Annapolis, Maryland. He has previously served as Professor of Military Strategy at the National War College in Washington, D.C. Prior to joining the War College faculty, Dr. Pierce was a defense correspondent for NBC News. Among his publications are Ethics and the Future of Conflict, co-edited with Anthony F. Lang, Jr. and Joel H. Rosenthal (Prentice Hall Studies in International Relations, 2004); Strategy, Ethics, and the “War on Terrorism” (Berkeley Public Policy Press, 2003); A Model for Moral Leadership: Contemporary Applications, Occasional Paper No. 15 (The Cary M. Maguire Center for Ethics and Public Responsibility, Southern Methodist University, 2003); “Conflict, Strategy, and Ethics,” in J.I. Coffey and Charles T. Mathewes, editors, Religion, Law and the Role of Force: A Study of Their Influence on Conflict and on Conflict Resolution (Transnational Publishers, 2002); “Just War Principles and Economic Sanctions,” Ethics & International Affairs (1996). Joel H. Rosenthal has been president of the Carnegie Council on Ethics and International Affairs since 1995. He received his Ph.D. from Yale University and B.A. from Harvard University. 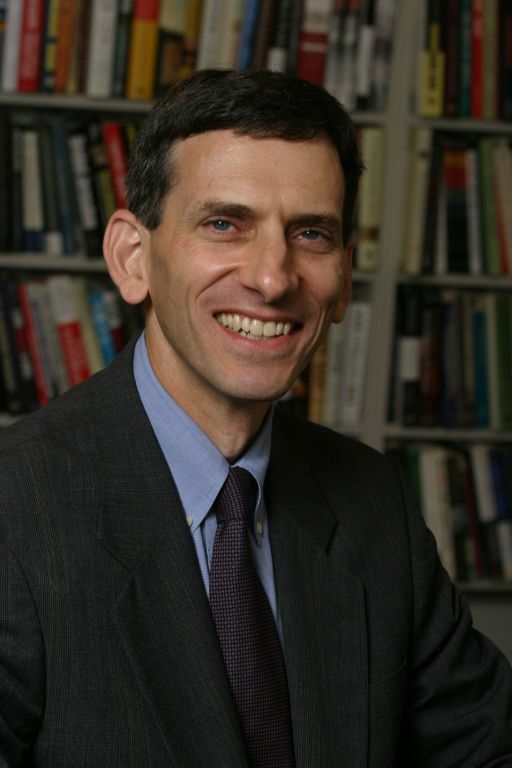 Dr. Rosenthal lectures and writes frequently on ethics, U.S. foreign policy, and international relations. Under his direction, the Carnegie Council sponsors educational programs for a worldwide audience. 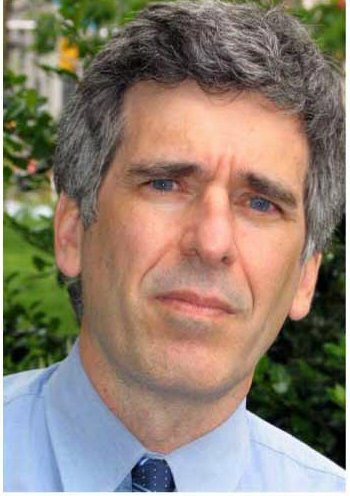 Among his current professional activities, Dr. Rosenthal is editor-in-chief of the journal Ethics & International Affairs, and has oversight responsibilities for the Council's main projects on ethics and armed conflict; justice and the world economy; and religion in international affairs. Selected publications include Ethics & International Affairs: A Reader 2nd edition (1999), Ethics and the Future of Conflict with Albert C. Pierce and Anthony Lang (2004), "New Rules for War?" Naval War College Review (summer 2004), "Cycles for Moral Dialogue" in Edward W. Lehman ed. Autonomy and Order (2000), "Henry Stimson's Clue" World Policy Journal, Fall, 1997, and "Ethics," Bruce W. Jentleson, et.al., Encyclopedia of U.S. Foreign Relations, 1996. He also serves as Adjunct Professor in the Department of Politics at New York University. Philip Seib is Lucius W. Nieman Professor of Journalism at Marquette University in Milwaukee, Wisconsin. As holder of this endowed chair, Seib focuses on international news coverage, media ethics, and new technologies. He is also the director of Marquette’s Nieman Symposia, examining current journalism issues. Seib is author or editor of many books, including: Headline Diplomacy: How News Coverage Affects Foreign Policy; The Global Journalist: News and Conscience in a World of Conflict; and Beyond the Front Lines: How the News Media Cover a World Shaped by War. His most recent book is Broadcasts from the Blitz: How Edward R. Murrow Helped Lead America into War, published in 2006, and he is working on two books about media in the Middle East. He is the series editor of the Palgrave Macmillan Series in International Political Communication and is co-editor of the journal Media, War, and Conflict, published by Sage. Norman Solomon. Norman Solomon writes the weekly "Media Beat" column, which has been in national syndication since 1992. He is the author of War Made Easy: How Presidents and Pundits Keep Spinning Us to Death, published in 2005. The Los Angeles Times called the book "brutally persuasive" and "a must-read for those who would like greater context with their bitter morning coffee, or to arm themselves for the debates about Iraq that are still to come." One of Solomon’s previous books, Target Iraq: What the News Media Didn’t Tell You (co-authored with foreign correspondent Reese Erlich), was published two months before the invasion of Iraq. A collection of Solomon’s columns, "The Habits of Highly Deceptive Media," won the George Orwell Award for Distinguished Contribution to Honesty and Clarity in Public Language, presented by the National Council of Teachers of English. His op-ed articles on foreign-policy issues have appeared in Newsday, the Baltimore Sun, the New York Times, the Boston Globe, the Los Angeles Times, the International Herald Tribune and many other newspapers. Solomon is the founder and executive director of the Institute for Public Accuracy, a national consortium of policy researchers and analysts. Bryan G. Whitman has been the Deputy Assistant Secretary of Defense for Public Affairs since May 2002. He serves as a senior spokesman for the Defense Department and oversees all media functions to include oversight of the Pentagon’s Press Office and all visual information programs and activities. Five years prior to that he served in the Pentagon Press Office as the Deputy Director for Press Operations. In that capacity he handled issues such as military operations in Afghanistan, the worldwide war against terrorism and transformation of the Defense Department. From 1995 to 1997, Whitman was a Public Affairs Specialist in the Office of the Assistant Secretary of Defense for Public Affairs. Prior to that Mr. Whitman was the Director of Government and Public Affairs for the United Service Organization (USO) World Headquarters in Washington. Mr. Whitman was a Special Forces officer with assignments around the world. He commanded five different combat units at various levels, with his last combat tour as the commander of all Special Forces operations in Somalia during the final withdrawal of United Nations Forces. Mr. Whitman is a graduate of the Federal Executive Institute and holds a Masters Degree in Communications from Oklahoma University. He earned a Bachelor of Science Degree in Photography and an Associates Degree in Applied Sciences from Rochester Institute of Technology.